Did Sue Ramirez Post A Sneak Peek Of Her Korean-Pinoy Movie With Shinwoo? It's giving us major K-drama vibes. Sue Ramirez is in South Korea filming a movie titled Sunshine Family, an adaptation of the 1992 Japanese film Hikinige Family. As the project stars Korean and Filipino actors, Sue plays alongside Nonie Buencamino, Shamaine Centenera, Marco Masa, and Park Ji Won, aka Shinwoo of Blac7. 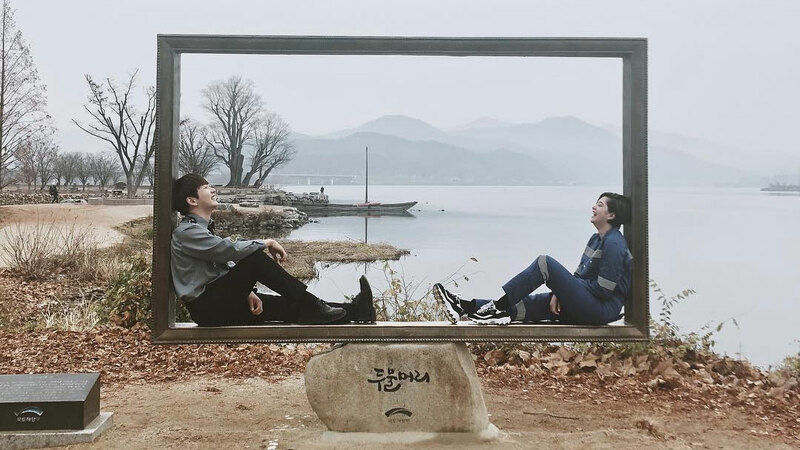 That said, her Instagram photo of her and Shinwoo before a picture-perfect mountain view can pass for a scene from the movie. The location looks a lot like the one in the behind-the-scenes pic posted by the Sunshine Family IG page. The movie is a Filipino-Korean co-production under Spring Films and Film Line. It’s directed by award-winning Korean director Kim Tai-Sik, whose works include Driving with My Wife’s Lover (2006), Red Vacance Black Wedding (2011), and Heartbreak Hotel (2015). Shinwoo has a big international following, and even fans from other countries are eagerly waiting for the movie’s release.